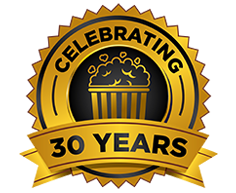 Here at the Superpop Group Pty Ltd our family owned and operated business has experienced significant growth throughout our 30+ years of service to Australian Cinemas, Schools, Supermarkets and Individual Popcorn Lovers alike! Our success is due to our highly experienced team who thrive on providing our customers with top quality products and service, which is backed by our conveniently located warehouses in Melbourne, Sydney, Brisbane, Perth & Auckland ensuring prompt distribution. We understand the importance of prompt, high quality, second to none service which is why we established specialised websites to ensure our customers have the ability to browse and or purchase many of the products and services provided by the Superpop Group Pty Ltd at the click of a button. Let us help you promote your business whether it be through packaging, marketing, fun food ingredients or machinery! Maybe…. it is our scrumptious popcorn you and or your business are longing for? We supply a vast array of companies with their very own packaging. Ranging from paper boxes to paper and plastic cups through to however, not limited to supplies such as straws and lids. Not only are these products manufactured locally or by our very own team, they are also manufactured in partnership with our manufacturing network overseas. This is one of the key areas where our strength truly prevails; that’s in the ability to produce low cost quality products designed to your artwork and business needs. Functional marketing? Promote your business on pizza boxes, plastic or paper cups, popcorn tubs, paper bags… The opportunities for ‘Functional Marketing’ are endless! Australian cinemas required a genuine one-stop cinema supply shop! At the click of a button www.cinemasupplies.com.au is where our valued cinema customers can purchase all of their operational needs consisting of packaging, janitorial, fun food ingredients and equipment – We truly are a one-stop cinema shop – check it out for yourself! Our fun food equipment range is easily accessible via our website www.cinemaequipment.com.au .Convenience is key, which is why we not only work with you to ensure you purchase the right equipment for your business needs, we have an extensive range of ingredients and packaging that goes hand in hand with your equipment. Delivery to your establishment can also be arranged without delay. Not only do we buy in specialty equipment for our customers, we are proud to say that we have the most extensive range of Cretors & Gold Medal fun food equipment available in Australia. Prefer to view in person? Our showroom based in Dandenong South, Victoria has the extensive range on hand for your viewing pleasure. This is where it all began some 30 years ago. Did you know… Panda popcorn was the first manufacturer of coloured popcorn. We proudly make this scrumptious popcorn to the original recipe! Movietime Popcorn introduced caramel, cheese and butter flavoured popcorn into supermarkets in the early 1990s years ahead of the competition. We are always pioneering new ranges of popcorn which is why we have created www.movietimepopcorn.com.au to ensure Popcorn lovers Australia wide have access to purchase their favourite, freshly popped popcorn at the click of a button! Remember: keep checking regularly because we are moving into a range of high fibre, low fat, and fully flavoured popcorn suitable for all who want to look and live better. Keeping your site hygienic is a must. Our specialised cleaning / janitorial products can be found on our website www.supercleaningproducts.com.au Sanitising chemicals and equipment through to the necessary paper products in the washroom are available at the click of a button. Our distribution network ensures these products are quickly and efficiently received throughout Australia with regular orders.